The Center for Academic, Career and Student Services (ACSS) in the Wilson College of Textiles supports students through all stages of their NC State journey. Stop by the Center in suite 2418 for more information about how ACSS can support you. 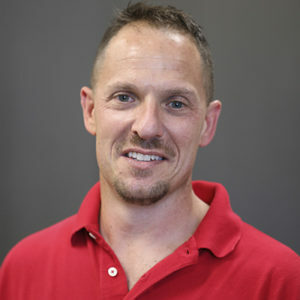 Dr. Jon P. Rust is a Professor of Textile Engineering and the Head of the Textile Engineering, Chemistry and Science (TECS) Department in the Wilson College of Textiles at North Carolina State University. Dr. Rust received his B.S. degree in Mechanical Engineering from Clemson University in 1982 and his M.S. degree in Fiber Science from Clemson University in 1985. In August of 1990, he received a Ph.D. in Fiber and Polymer Science from North Carolina State University and was promoted to Assistant Professor. Prior to being named Department Head in 2008, he served as Associate Head and Director of Undergraduate Programs from 2000 to 2008, Program Director for the Textile Engineering Program from 1998 to 2000, and as a faculty member in the Wilson College of Textiles since 1985. Dr. Rust received the Gertrude Cox Award for Innovative Excellence in Teaching and Learning with Technology, the NC State Distinguished Undergraduate Professor Award, and he is a three-time Wilson College of Textiles Board of Governors Award nominee. Jeff joined the Wilson College of Textiles in March 2018, bringing with him over 15 years of experience helping college students in NC identify and achieve their career goals. In his previous role, he served as the Associate Director of Career Services at UNC-CH for over 10 years, overseeing both the employer relations and career counseling functions of the office. Prior to that, Jeff was the Director of Career Services for the Poole College of Management at NC State University from 2003-2007. He also has experience in human resources, recruiting, and retail management. Jeff is originally from NJ and lives in Cary with his wife and 2 boys. He has a BA in psychology from the University of Tennessee-Knoxville and MEd in college career counseling from NC State University. Heather has been working at NC State since 2005 and has been in the Wilson College of Textiles since 2016. Her main responsibilities include oversight of advising and recruiting staff, advising transfer students, teaching T 101- Introduction to the Wilson College of Textiles and is the liaison to the Office of Undergraduate Admissions. She served as the Associate Director of Advising and Admissions before assuming the Director of Academic Services role in May 2018. 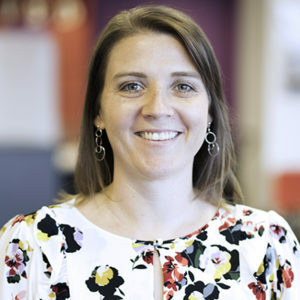 Heather began her NC State career as an Assistant Director in the Academic Support Program for Student-Athletes before transitioning to an Assistant Director role in the Office of Undergraduate Admissions in 2011. Prior to coming to NC State, she served in several academic advising roles in academic support programs for student-athletes at the University of Richmond, the University of North Carolina at Chapel Hill and the University of Alabama at Birmingham. Heather earned a Bachelor of Science in Exercise and Sports Science with concentrations in Psychology and Sports Medicine from East Carolina University and a Master of Arts in Counseling from the University of Alabama at Birmingham. She currently resides in Holly Springs, NC with her husband, Wayne and fur baby, Daisy. Delisha is a native of Raleigh where she attended Southeast Raleigh Magnet High School. She earned a Bachelor of Science in Textile Technology with a concentration in Medical Textiles and a Master of Education in Higher Education Administration from NC State University. She has been working at NC State University since 2011 primarily in undergraduate student recruitment focused roles. As the Associate Director of Student Services she oversees and implements various recruiting strategies, events and programs; coordinates undergraduate scholarships and diversity programming and training for faculty/staff and students at the Wilson College of Textiles. She enjoys meeting students as they are contemplating on where to go to college and their major before realizing that the Wilson College of Textiles is the best fit for them and watching them graduate and enter the next chapter of their life. Outside of work, Delisha enjoys spending time with her husband, their families and dog (Bolt); working in the yard, working out, reading and DIY projects. Bri joined the Wilson College of Textiles in 2018 and has been at NC State since 2017. A proud native of Thomson, Georgia, Bri is a “Double Dawg,” earning both her Bachelor of Science in Education with a concentration in Health and Physical Education and her Master of Education in College Student Affairs Administration from the University of Georgia. As an Academic Advisor, Bri provides individualized academic support for the Wilson College of Textiles’ first-year students. 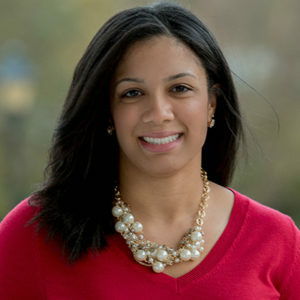 Prior to coming to NC State, Bri contributed her talents to several organizations, including the College Advising Corps, the University of Georgia, Emory University and the University of Central Florida. She is fervent about supporting students in transition and has experience serving diverse student groups, including low-income, first-generation, and underrepresented high school students, international students and student-athletes. Outside of work, Bri enjoys traveling to new cities, going to the gym, experimenting with new recipes, exploring Raleigh and searching for restaurants with the most “Instagrammable” food! Meggie joined the Wilson College of Textiles in May 2018 and previously worked with first-year undecided students in the Exploratory Studies program at NC State. She grew up in the NC mountains, and has lived all over the state. After teaching high school science for three years, Meggie found her passion working with college students through academic advising. Meggie has been advising students since 2011, first at East Carolina University and at NC State since 2015. She enjoys supporting students as they adjust to campus and helping them find ways to enhance their educational experience through one-on-one conversations. Outside of work, Meggie enjoys being outside, traveling and spending time with her husband and daughter. 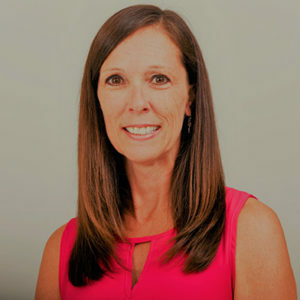 Meggie earned a bachelor’s degree in Biology from UNC-Chapel Hill in 2007, and a master’s degree in Education from Wake Forest University in 2008. Shannon joined the Wilson College of Textiles in 2012 as an undergraduate student and Centennial Scholar. She graduated in May of 2016 earning a Bachelor of Science in Textile Engineering with a concentration in Product Engineering. She learned of the Wilson College of Textiles through a high school counselor and quickly fell in love with the college’s family-like environment, innovative research, hands-on learning approach and connection with industry. Shannon is passionate about educating high school students and their families on the incredible opportunities within the Wilson College of Textiles and helping them find a program that they too will fall in love with. She began working at the college in 2016 as a Student Services Representative. She works primarily with recruitment and devotes most of her time to travelling around the state to visit and speak with high school classes, meeting one-on-one with prospective students and coordinating various events such as the Summer Textile Exploration Program (STEP) and TEXday. Shannon is a die-hard Carolina Hurricanes fan and spends much of her free time at Canes games and events. She also enjoys going to concerts, watching movies, relaxing at the beach and spending time with family, friends and her dog, Jax. Selina is the Executive Assistant to the Associate Dean for Academic Programs. She grew up in eastern North Carolina always dreaming of being part of the Wolfpack family and went on to earn a BA in Political Science from the University. She was offered the opportunity to return to the NC State community as an event coordinator with Campus Enterprises and later joined the Wilson College of Textiles staff in 2014. Selina is proud to be part of the Academic Programs office, thankful for the daily opportunities to assist and enhance the college experience for our students. Delsey is a retiree of NC State with over 30 years of experience. Before retiring she worked in the College of Design in a number of roles with the last one being in the budget office. She spent six months in the College of Engineering as graduate secretary. Prior to coming to the university, Delsey worked for the American Postal Workers Union as their secretary. Delsey was born and raised on the east coast in the small city of Elizabeth City. She is married with two adult children and three grandchildren ages 13, 9 and 3. Delsey also has her faithful dog, Krunk. Delsey has her MBA in Business with a concentration in Human Resources. Delsey has always loved working with students and that’s probably why she never left the university and is back doing with she enjoys even in retirement. Traci moved to North Carolina from the New England area in 2008. It was that same year that she began working at NC State at the College of Veterinary Medicine before joining the Wilson College of Textiles in 2010. In her role as Graduate Services Coordinator for the college’s doctoral programs and the Textile Chemistry and Textile Engineering master’s programs, she serves as the principle administrative liaison between the student, the Graduate Program Director and the Graduate School. Traci is committed to providing students with excellent guidance and support as they navigate through their graduate school journey. She appreciates the rich cultural diversity that the graduate students bring to Wilson College of Textiles and enjoys the opportunity to gain a better understanding of other cultures.